A small elegant looking block having a width of 75mm, a height of 115mm and a depth of 30mm with a mounted metallic looking plate of 50mm x 70mm dedicated to the memory of your deceased pet. 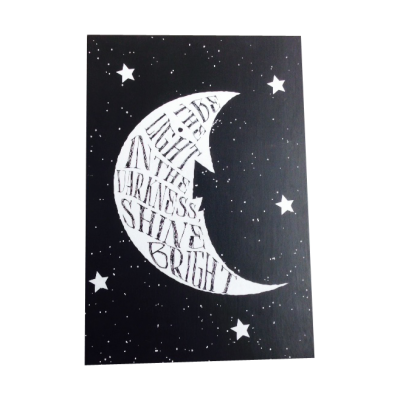 You can choose your own words to fit onto the text plate and proudly display it in your home. 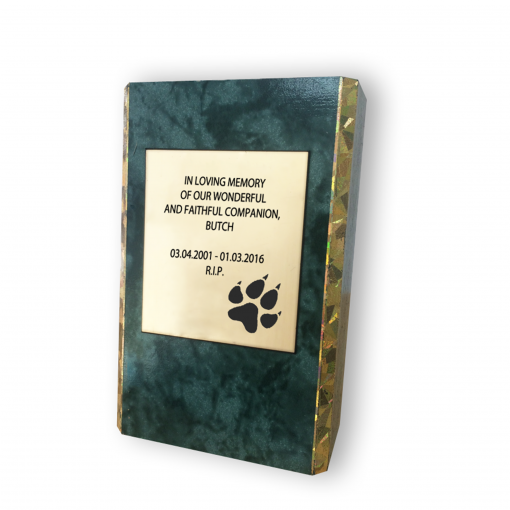 A custom made pet memorial block from Stamps Plus will give you a great deal of comfort. Colour of the memorial block is marble green. The metallic looking text plate can be in gold or silver. Add an artwork file if you want to have image on your memorial plaque.